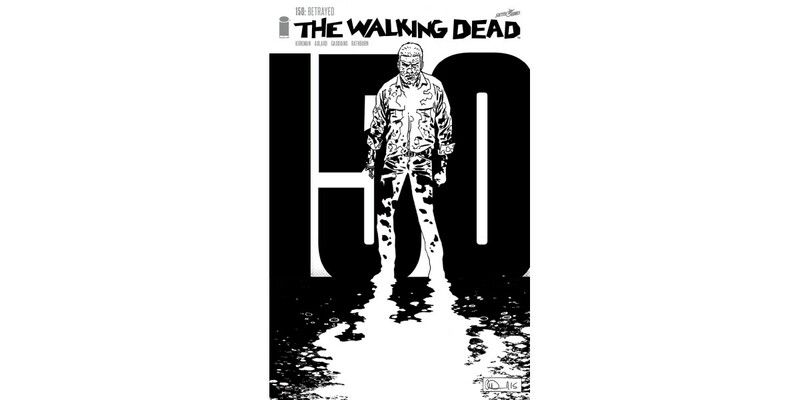 Image Comics/Skybound is pleased to announce an exciting opportunity for any comics retailer who orders at least zero copies of THE WALKING DEAD #150. This very special Retailer Appreciation variant will be a black and white version of Adlard’s Cover A and will grace the cover of the landmark, anniversary issue of THE WALKING DEAD, which will feature 30 pages of pulse-pounding story for only $2.99. In this 150th issue, Rick Grimes finds himself... betrayed.